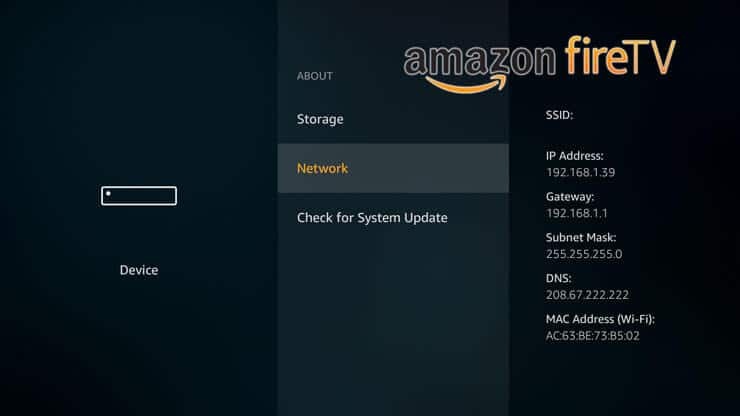 For any kind of hacks with Fire TV, you will have to find Amazon Fire TV IP address on your network. Apps such as adbLink that enable sideloading apps on AFTV require knowing IP address of Fire TV. 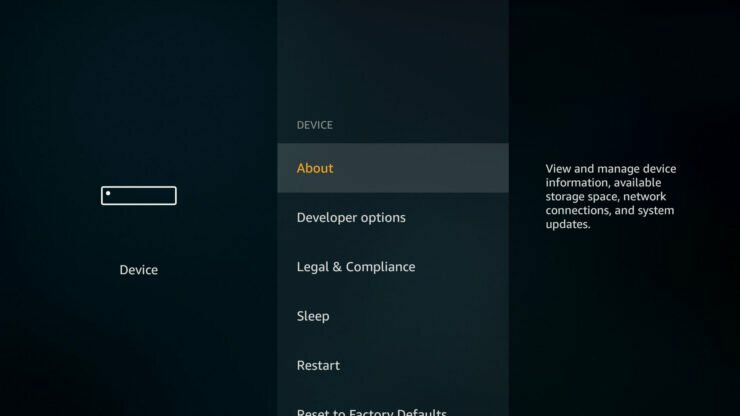 We have discussed installing Kodi , Mobdro on Fire TV and more. All these guides require connecting your Fire TV through adbFire application. 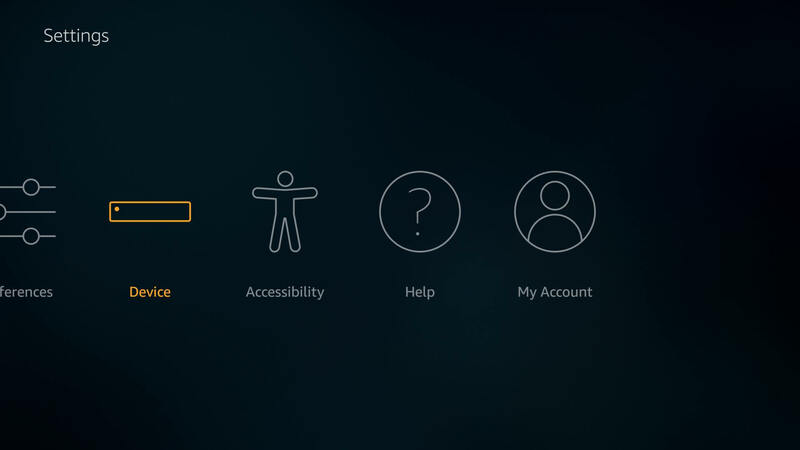 While we briefly show how to find Amazon Fire TV IP address, some new users were lost. Hopefully this detailed step-by-step guide helps those struggling to determine Fire TV internal IP address. On homescreen, scroll down and click on Settings. Then scroll-right and click on Device. In the window that opens, scroll down and select About. Finally, scroll down and highlight Network. 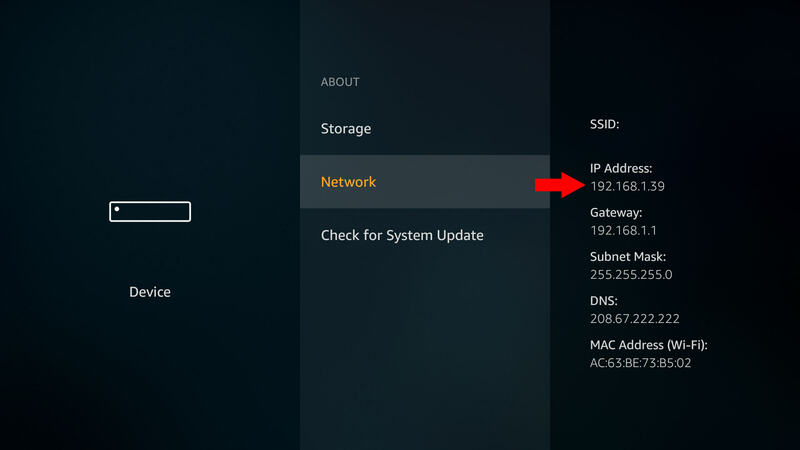 Your network information, including Fire TV's local IP address should be displayed on the right. To find Amazon Fire TV IP address, look for a number that starts with 192.168 as shown in the picture below. 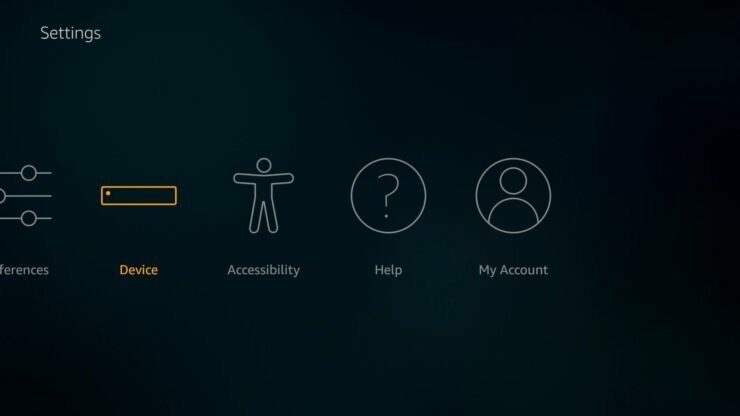 You can use the same method locate Amazon Fire Stick IP address as well. 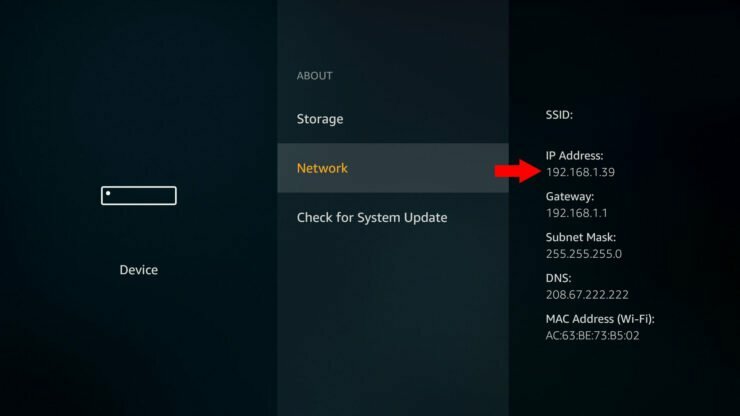 Note down the IP address of AFTV for any hacks that involve connecting your Fire TV through adb.